Jack Wolfskin Texapore Material – What is it? 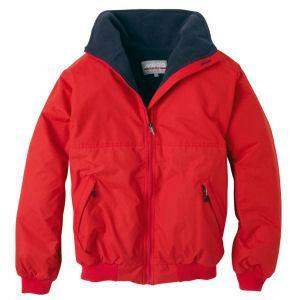 Jack Wolfskin is one of the leading brands of functional outdoor clothing in Europe. Their focus is solely on the user experience, and their products reflect this mission statement. Jack Wolfskin products are typically characterised by high degrees of functionality, user-orientation and innovation. If you are more suited for the everyday weather-proof jacket then the Jack Wolfskin motion flex range is just for you. Being robust, stretchy and highly breathable, this jacket will provide you with the comforts that the other hiking jackets provide. The key to having the right kind of protection when you’re facing the outdoors is knowing what you need. Different activities will require different demands from your waterproof jackets, and a bit of research will help you get what you need for your chosen pursuits. Being active and keeping fit in Ireland means dedication and good sports gear. Whether you’re trying to maintain a healthy lifestyle, lose weight, or boost your stamina getting out and about is great way to do all this and more. Check out some of our Running facts for beginners here! Not only do we offer top-range hiking jackets from some of the top brands on the market, we also offer some much needed accessories that will help keep you dry and warm during your hiking activities. These Jack Wolfskin accessories are made to perform, right alongside you. These lightweight, stretchy and breathable pants are ideal for alpine trails, hikes and trekking. They are comfortable and perfect for the summer months. They provide light weather protection from the elements and are classic cut with straight leg. 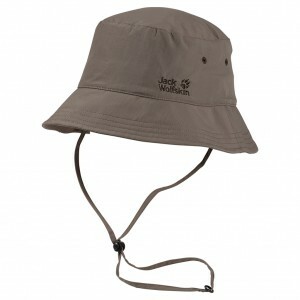 This sun hat has a high level of UV protection and good wicking capability – ideal for trekking in hot weather. The SUPPLEX nylon material allows for fast-drying and superb UV protection factor of 40+. The classic design and airy COOLMAX MESH lining allows for your head to remain cool while being protected from the sun. You are able to secure the hat by using the draw cord. The hat is also available in white. Tubular scarf made from a lightweight jersey material. This scarf can be made into a headscarf, scarf, headband or hair band. 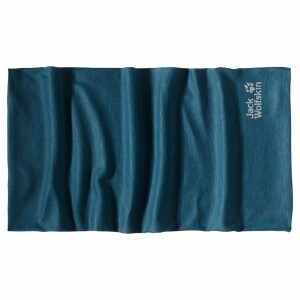 It is extremely breathable, fast-drying, light and multifunctional. It has no seam and feels very comfortable on the skin. It is available in pink, white and blue. 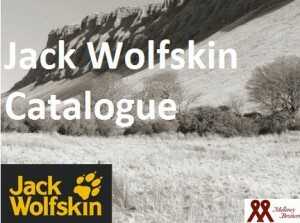 To get your copy of our Jack Wolfskin range, just click here! Now that the Girls first holy is winding down its time for the Boys to get their turn in the lime light! 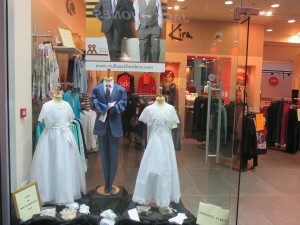 All our Boys Communion suits, waist coats , shirts and ties are now all in and waiting for our new models . Two piece suits start at €99.95 and fits very nicely at a budget price, – it’s amazing how the track-suited, football jersey children are transformed into smart young boys with the new suit shirt & tie! There are a number of different styles in suits at the moment. For those with a keener fashion eye the suit with the decorative trim on the lapels & pockets is a definite must have. This year there is quite a strong colour palette in boys shirts , these really liven up the suits and look good on the boys also, and as they are now all wearing bright colours in their football boots it isn’t quite as hard to persuade them to try on the pinks , purples & teals that are in this year. How do you know when you need quality waterproof jacket? Obviously when you are considering buying yourself a quality waterproof jacket you have to factor in a number of things. This entry was posted in news on January 6, 2015 by admin. At Mullaney Brothers, we love the festive season from shining lights, beautifully decorated trees, goodwill and cheer!